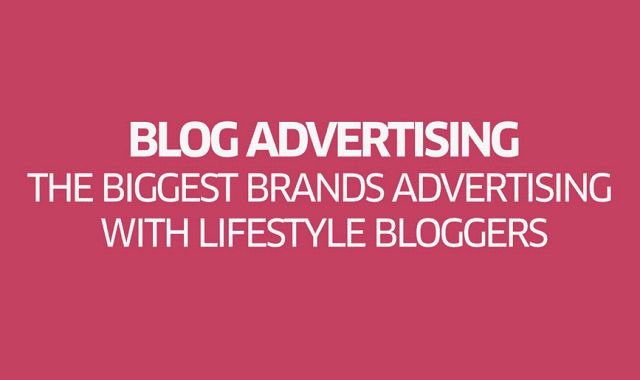 The Biggest Brands Advertising With Lifestyle Bloggers #infographic ~ Visualistan '+g+"
Everyone from the biggest brands to newer start-ups just trying to get their names out there are finding bloggers to be a great place for all kinds of advertising from sponsored posts to contests and giveaways. Mediakix surveyed sponsored content on the top 100 lifestyle blogs for the first six months of this year and found some very interesting data. Those 100 lifestyle blogs reach over 10 million readers, a large audience that is very tempting to advertisers, especially when one considers that such audiences tend to be strongly engaged with easily targeted interests, all of which makes it easier for advertisers to get their ads and information to exactly who they want to reach. The most common form of advertising on lifestyle blogs was sponsored content, followed by giveaways and contests. For more great information, check out the infographic below!